Technics is a very popular brand in Poland, probably because in the 1980s it was a little easier to get than other inventions from the evil, capitalist West, and it became imprinted in the minds of consumers before the competition. 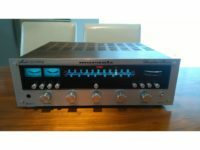 Technics stuff available in Poland was far from great, but still better than domestic products in terms of build quality (significantly), sound quality (usually) and prestige (importantly). The fact that Technics was considered a prestigious brand speaks volumes about the Polish audio market in the last century. Consequently, there’s a lot of Technics gear from that time in Poland, and the brand remains popular. 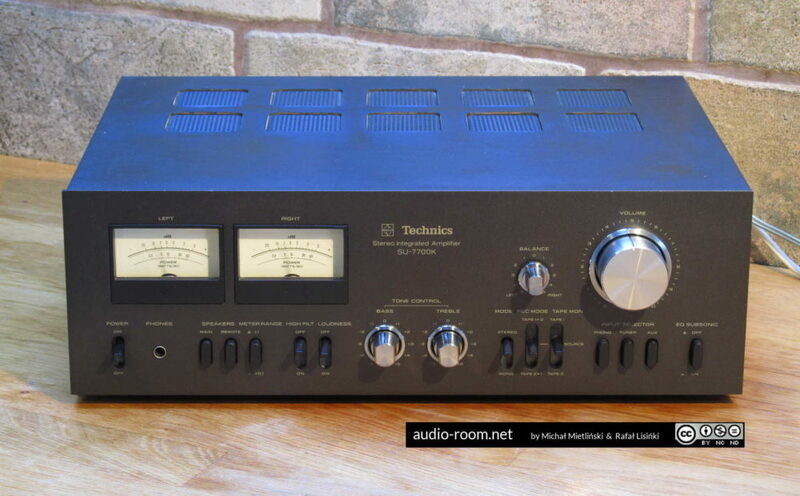 Technics gear will always find buyers, especially if it’s big and heavy. 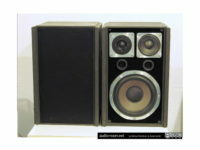 I know it from my own shameful episode with rather terrible Technics speakers – but that’s a story for some other time. 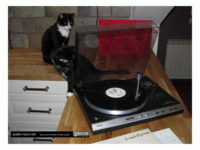 Disclaimer: we are not fans of Technics. The equipment from this brand that we’ve had the opportunity to play with was usually quite bad, mediocre at best. Naturally there were exceptions, but very few – and even in those rare cases the units were just decent, nothing more. Now that introduction’s out of the way, let’s get to the point. 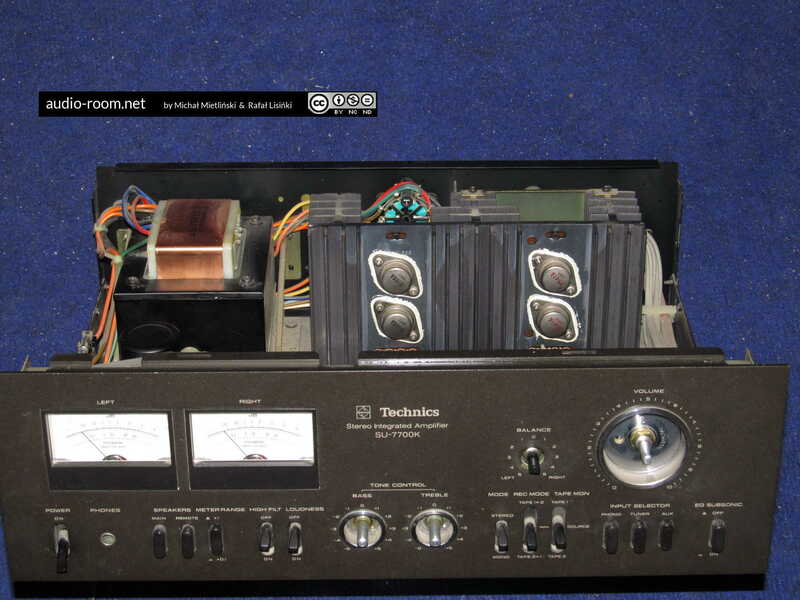 A while ago we had an opportunity to play with a Technics SU-7700 integrated amp. 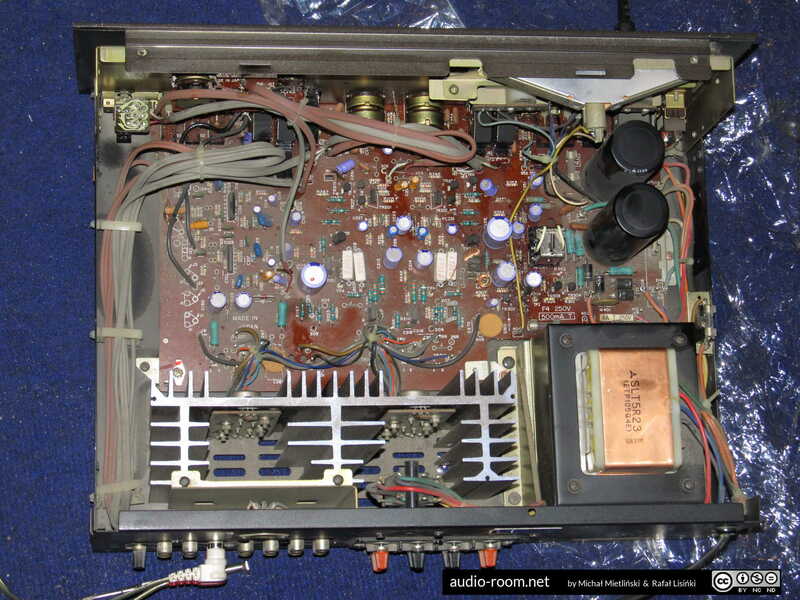 The amplifier comes from the late 70’s. The look is typical for the period: an aluminum front panel, nice big knobs (we really liked the combination of dark face and silver knobs), lever switches and large mechanical buttons, and the vintage audio fan’s favorite: fairly big power meters, so-called wipers. Functionally it is also quite typical: 50 W per channel (that’s a bit above average), four line level inputs (including two tape loops, one doubled as a DIN socket) and a mandatory phono input, connectors for two pairs of speakers and a headphone jack tapping to the power amp, treble and bass controls and filters, and loudness filter. 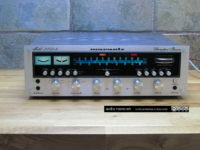 On top of that the amp has a meter sensitivity switch (x1/x0,1) for those who want the needles to jump before the noise starts to annoy the neighbors (normal listening level at home is usually quite low, using less than 1 watt per channel, and with such output power meters barely move). In short, the amp has all the standard features and power meters as an extra. 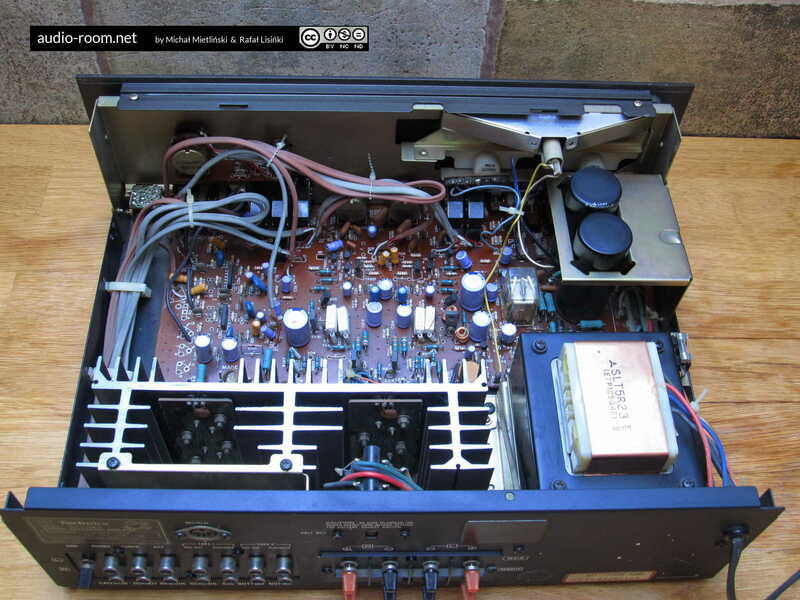 A reader brought over his Technics SU-7700 for repairs. 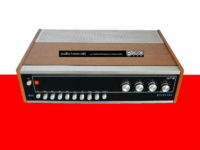 The amplifier would turn on, music would play, but barely – the sound was distorted, there were crackling noises, in one channel the sound would disappear, or rather appear sporadically when switching functions. 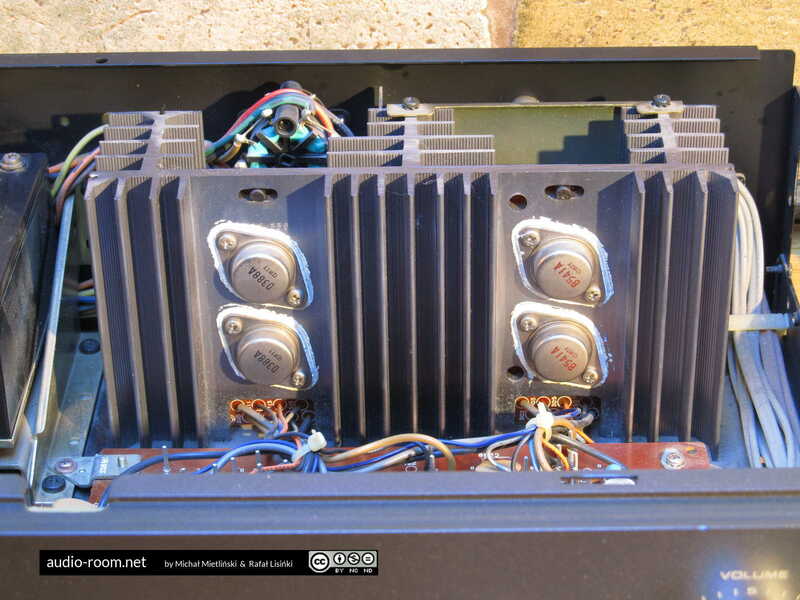 The amplifier basically needed a thorough cleaning: there was a lot of dust, and the cause of problems with sound were dirty contacts in several switches and dirty volume potentiometer. 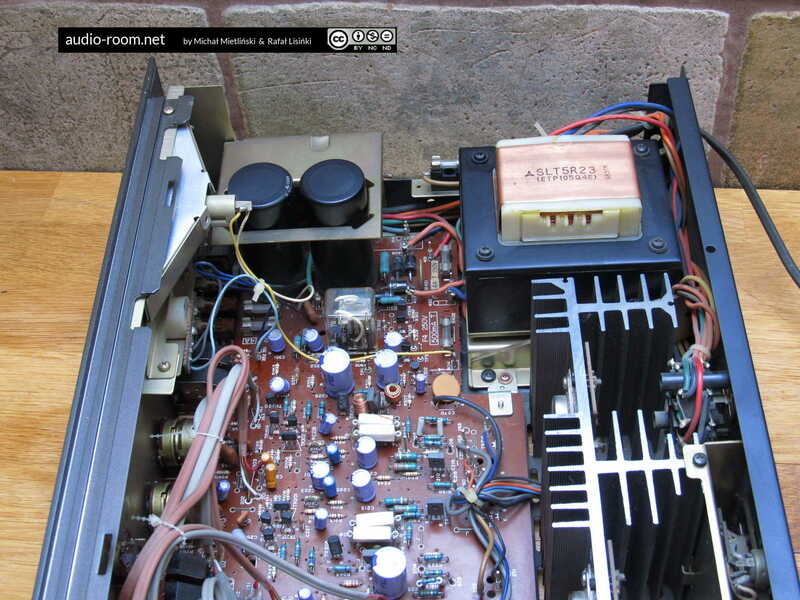 We cleaned the amplifier inside, flushed all switches and potentiometers with contact spray, and the amplifier started to work correctly. To our surprise, the relay did not need cleaning. We also checked the currents: idling current was within spec, DC offset was also healthy. 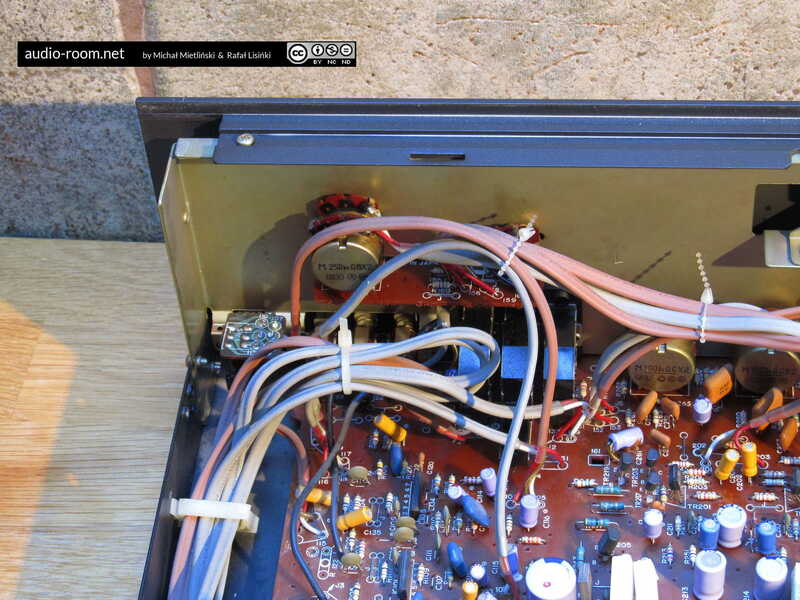 That was quite fortunate, because thre’s no easy currents adjustment method for this amp. On the cosmetic side, we gave the front panel and knobs a soap bath. The amp cleaned up really well. 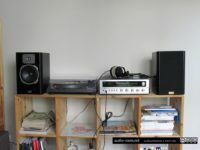 So we connected the speakers (Quadral Tribun Mk IV), a DAP (Fiio X5 II) and listened to a few tunes – and unfortunately things were not so beautiful anymore. 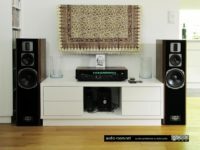 Having read a few user reviews of this amplifier (authors complained about the sound and basically said that the amp was no good without boosting bass and treble), we did not expect miracles. But our impression was quite different. We had no problem with bass: it was abundant (but not excessive), hitting low and while not very detailed and controlled, it was not muddy either. We found it to be on the good side. Same with high frequencies: not outstanding, a bit restrained, but clear, no complaints here. Unfortunately, the midrange left a lot to be desired. It was not recessed, but it was very flat. We had the impression that while the sounds from the bottom and top ranges created a sound stage, the mids (read: vocals and guitars) were cuffed to the speakers with no chance of escaping into the room. That was quite strange, amplifiers usually either have a good or bad (or inexistent) sound stage and that goes for the entire spectrum, or at least both highs and mids, and here was a specific part that was completely flattened – like listening to a band that plays live but instead of a vocalist they have a really crappy speaker they use to play the vocals. 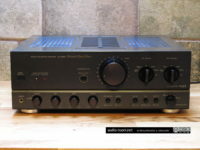 Maybe pairing this amplifier with speakers that strongly emphasize and project midrange would help but we could not find sufficiently midrange-happy speakers in our collection. In rooms where the speakers are poorly positioned anyway and there is no soundstage to speak of, the shortcomings of this amplifier may be less noticeable; similarly in the case of pairing with speakers that sound flat themselves. 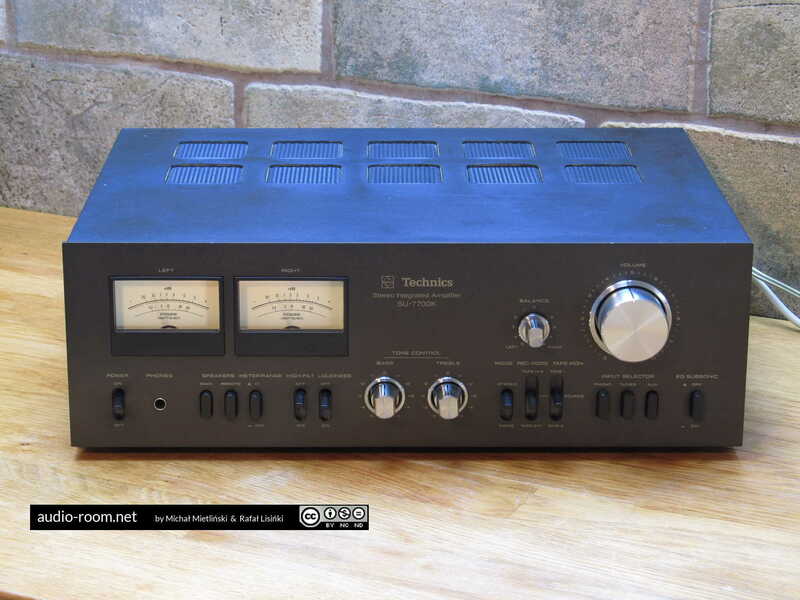 In our opinion – Technics SU-7700 has the looks, it is a functional, well-built amplifier, but unfortunately does not have the sound quality to match. 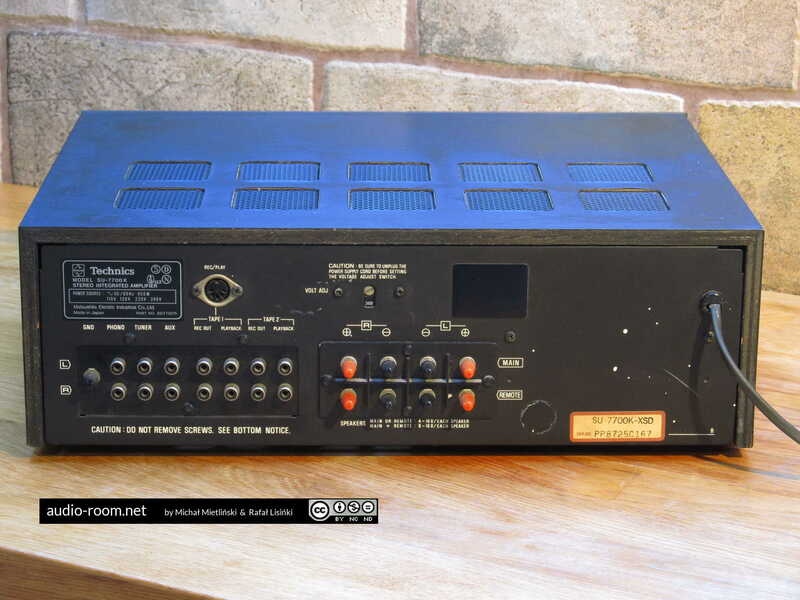 The amplifier is not cheap either, a working unit now usually costs well above 100 euros. 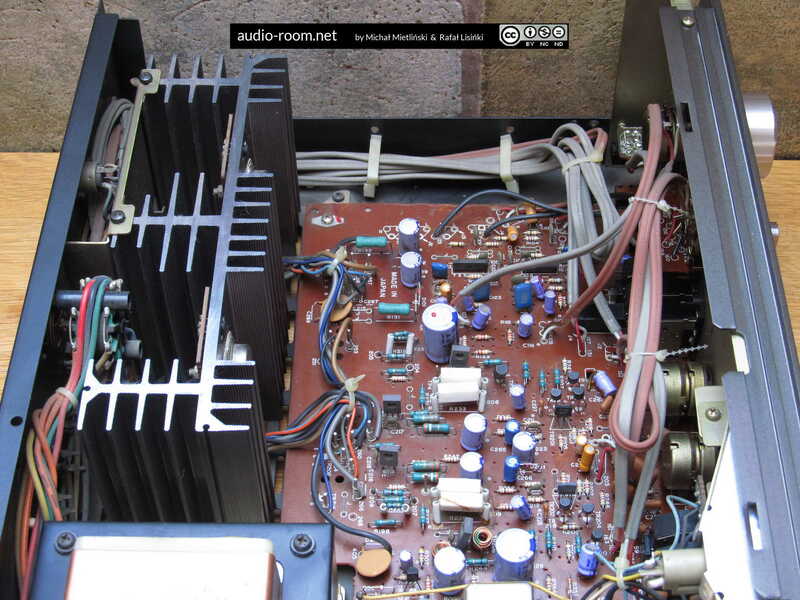 We can recommend it only to people whose first priority is the looks, but even if that’s the case, our advice is to look at other amplifiers with a similar design. Pioneer SA-606 that has similar features, style and specs, and even its half-as-powerful brother Pioneer SA-506 both offer much better sound quality. Your particular unit probably needs to be recapped. 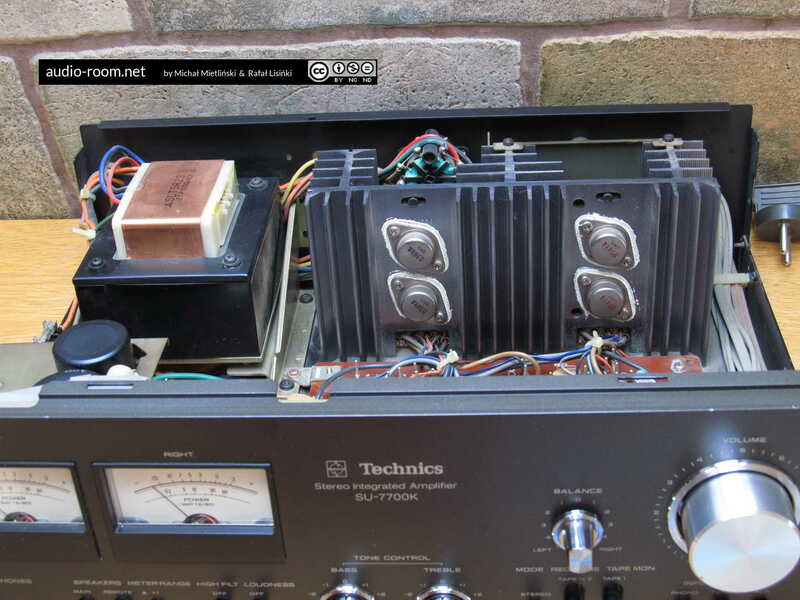 Notice how this article is the only one on the internet that doesn’t praise the sound quality of this amp. That is possible. 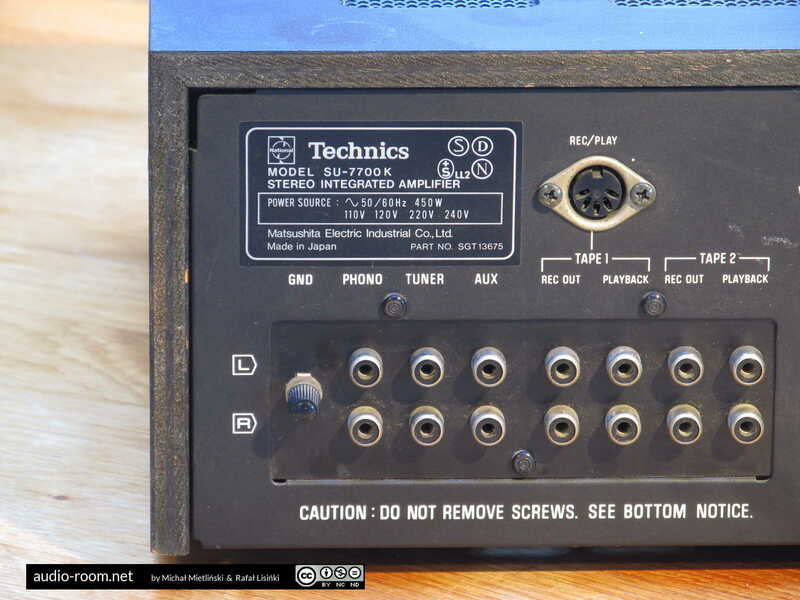 Although, while this amp has not been recapped, nor have most of the amps we’ve used and we’ve never heard bad caps affect mids and soundstage like that. In most cases bad caps affect bass first (especially PS caps) – not the case here. 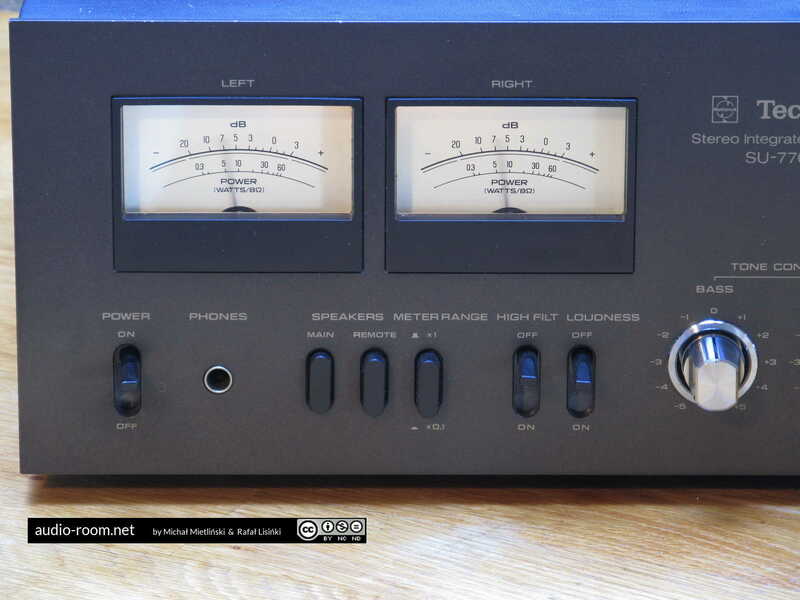 In those cases that soundstage suffered due to bad caps (usually problems with caps in the signal path, mainly preamp section), high frequencies were always also affected, actually more than mids. 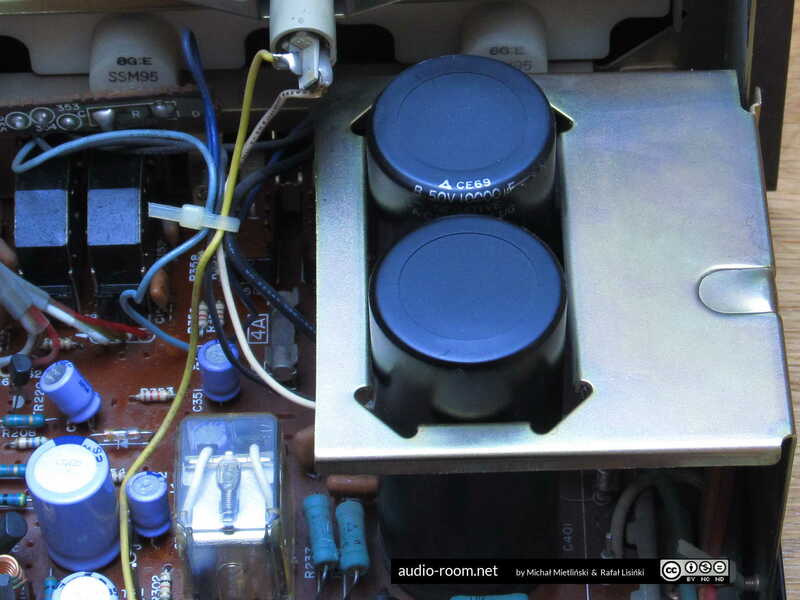 Not the case here (highs were good), and this particular amp dis not exhibit any other issues that could indicate problems with capacitors either. This alone of course does not mean that the problem is not caused by caps – but makes it less likely. 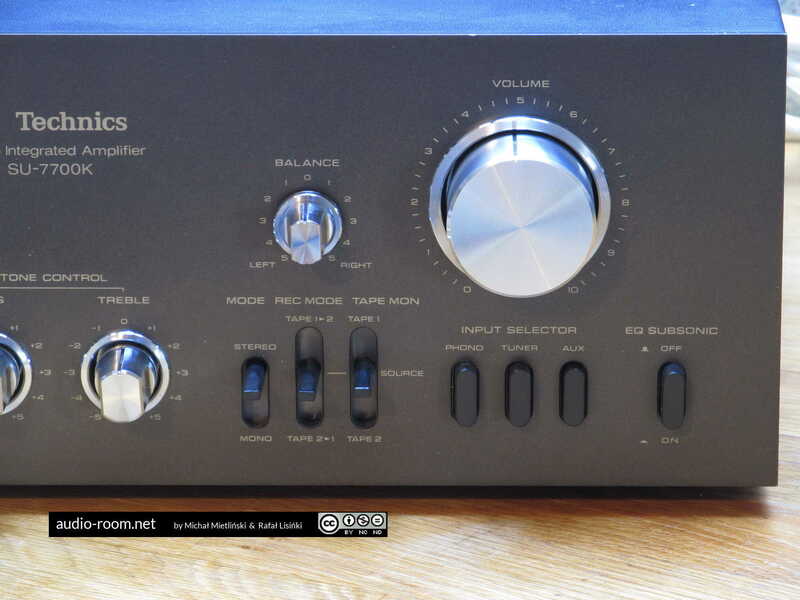 Also, the problem I have with the sound of this unit is actually similar to what I’ve heard from many other Technics amps from that and a bit later period. Almost all of them had something strange going on in the midrange. 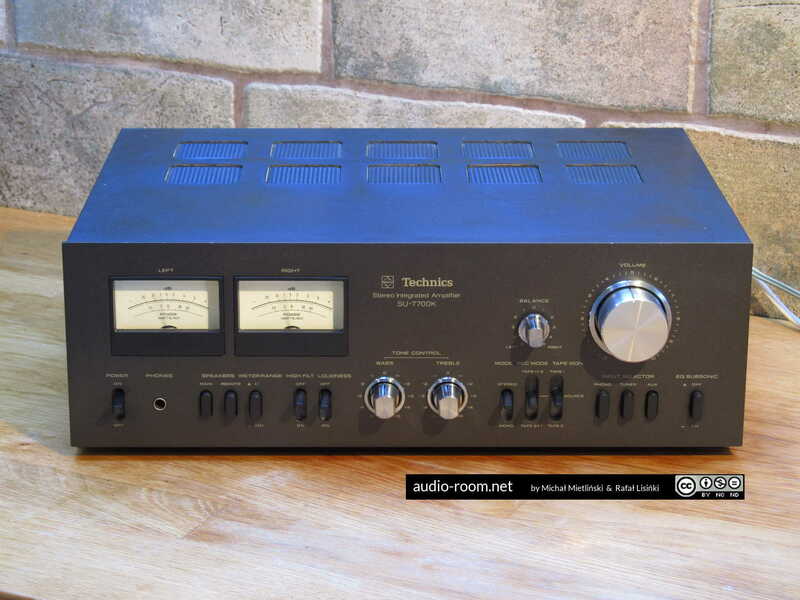 The later Technics amps from mid-1980s to 1990s were even worse (flat across the range, not just in the mids). I’m talking about budget models of course. 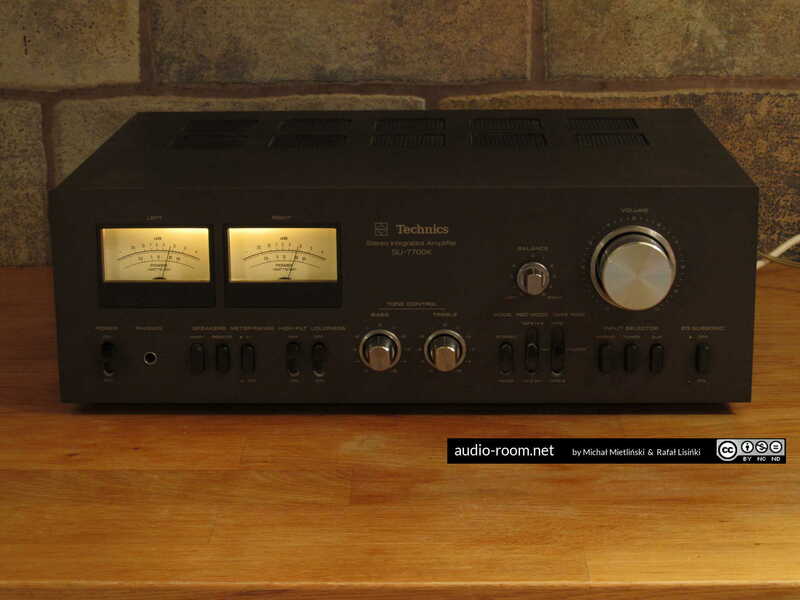 I’ve heard good-sounding Technics amps too, but most were closer to top of the line and much more expensive. 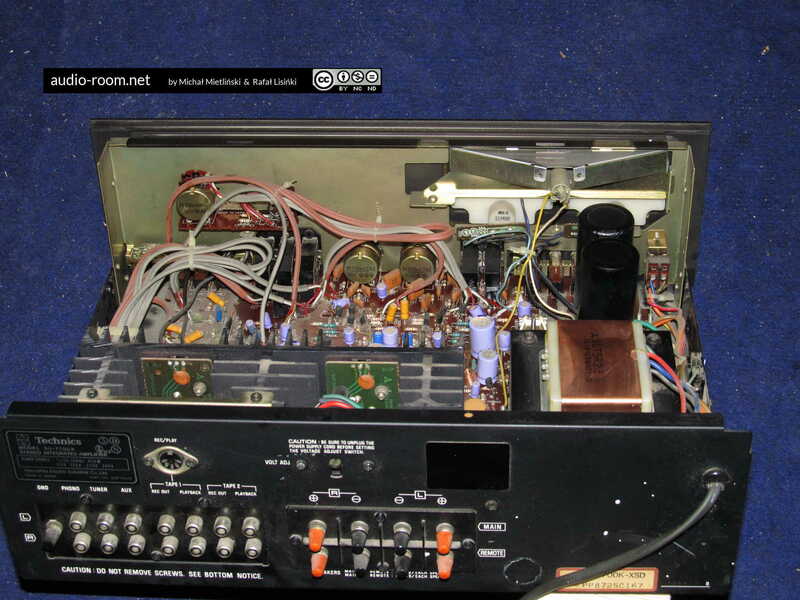 Also note that people who use and comment on amps of this type (middle of the line vintage) 1. often use vintage speakers of questionable sound quality that hide the amp’s deficiencies behind their own ones – and those speakers are often mid-centric, and 2. often focus more on bass and treble than on mids. This Technics handles bass very well, and highs also well, so I’m not surprised that many people like it. Even the owner of the unit we tested likes it too and has no complaints about its sound. 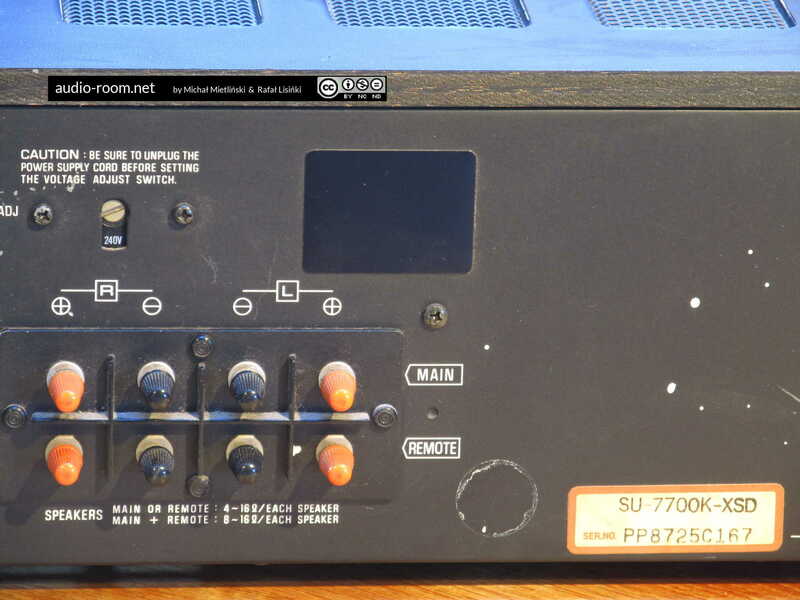 But if we have an opportunity to test another SU-7700, we will certainly do that to confirm whether this is the sound signature of this model or rather a problem with that particular unit.